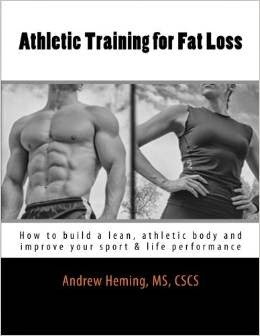 Andrew Heming's Blog: Functional Training? 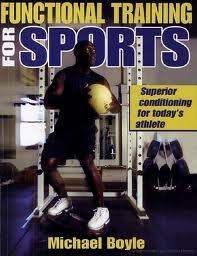 Since 2004, when Mike Boyle released his book Functional Training for Sports, this term has grown in popularity. Today “functional training” is all the rage in the fitness industry. However, do we really know what functional training means and is our “functional training” really improving our function? Functional training is training that improves your ability to function in your real life, work and/or sport environment. If you are willing to accept this definition, then we need to ask two questions. The first is "how are you to measure an improvement in function?" 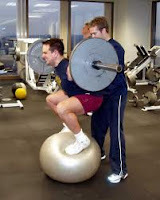 The second question is "what type of training does this?" If you are an athlete, this is easy as typical sport-performance tests such as vertical jump, speed, agility, etc. indicate how the training is going. If you are a non-athlete, it can be much harder to measure functional strength. With today’s technology and labor saving devices, we have an ever-decreasing functional demand placed on our bodies. For example, up until a few years ago, the biggest functional demand for most office workers was changing the bottle at the water cooler. Now, we have moved to filters and no one uses water bottles. This is great for the environment, but another step backward for our bodies. In today’s modern era, we need more than ever to creatively add physical demands back on our bodies – not remove them! This is especially important as you get older. Strength coach Eric Cressey has proposed that moving (i.e. 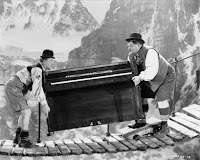 helping someone move his/her belongings to a different location) is an excellent modern test of functional strength. I couldn’t agree more. If you can repeatedly pick up heavy stuff and carry it up or down stairs, then sprint back and get more all day without getting exhausted, injured or incredibly sore, then you have a high level of functional strength & fitness! My Grandfather used to have a moving business. 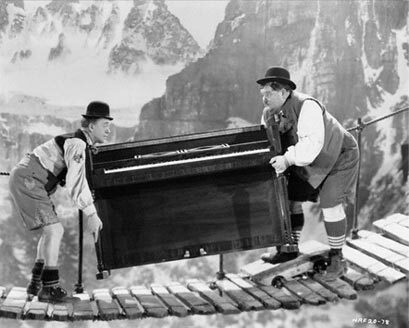 With the help of one co-worker, he would carry pianos up a flight of stairs – now that is real functional strength! The fitness industry was strongly influenced by bodybuilding in its earlier years. As a result, many gym equipment and training programs went to the one extreme of seated, isolated, bodybuilding-style training. Over time, we realized that machine-based training is not that functional and not that helpful for non-bodybuilders. As a result, the pendulum started to swing in the other direction, but often too far. Since the start of the functional training craze, there have been numerous opinions on how to improve your functional strength and fitness. Unfortunately, these often come from an agenda to sell the latest fitness equipment fad. The downside of most of these tools is that many of them are down-right non-functional. For example, if you live, play and work on a hard flat surface, how is training on a curved unstable surface going to prepare you for that? Picking things up off the ground: it doesn’t get more functional than some type of deadlift. Squatting: this is a basic, human movement that almost everyone was able to do as a child. If you can’t do a full squat, it is time to re-learn this important movement. Loaded carries: find something heavy and carry, push or pull it. Body weight training: learning to move your body through space is super functional. Pull-ups, dips, inverted rows, inverted shoulder presses, push-ups, glute/ham raises, lunges and single-leg squats are all great examples of body weight exercises that can help you move your body around. Sprinting: emergency situations never require you to slowly jog to help someone or to get away from someone/something. Jumping: similar to sprinting, this is an important ability. Power is easy to lose, but easy to maintain with some basic jumping exercises. Research shows that the more power you lose as you age, the sooner you die. Basic barbell and dumbbell strength training: while not cool or trendy, get stronger with exercises such as those mentioned above. The stronger you are with these movements, the easier it is to move your body around. On that note, I’ll end with a great quote from veteran strength coach Mark Rippetoe: "Strong people are harder to kill and more useful in general." Note: see my YouTube page for videos of most of these exercises/movements. In addition to these great exercises and movements, be sure to keep and even bring back manual labour into your daily life as much as you can. Take the stairs, carry things instead of rolling them along and please never set foot on those moving sidewalks at the airport! As another example, when working around the yard, I try to use as many old-school tools as possible. 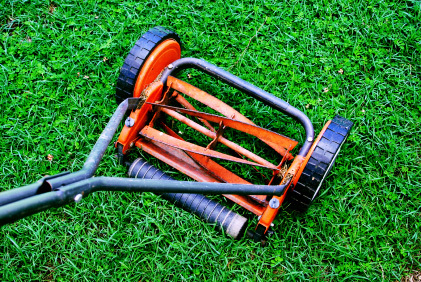 I cut the grass with a reel mower (the ones that you push which then makes the blades spin), I gather leaves and grass clippings with a rake instead of a blower and use mostly a hand saw to cut wood. In the winter, I shovel snow instead of using a snow blower. Simple things such as this can help place more functional demands on your body. Now, go and improve your function through real functional training! Just be sure to get healthy first and do what is appropriate for you. To find out more about how select and correctly perform functional exercises and how to put it all together in a training program, check out my upcoming workshop: How to Look and Feel Like an Athlete HERE.